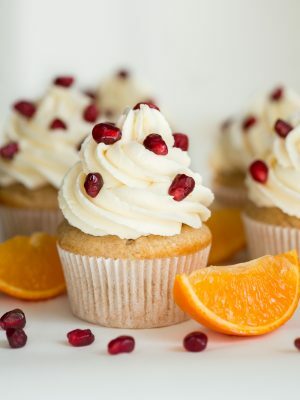 Orange Pomegranate Cupcakes are made with the freshest flavors of the season! 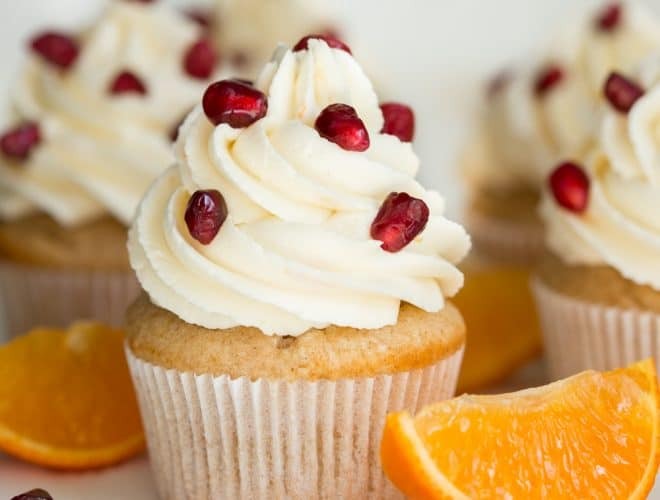 The cupcakes are stuffed with a pomegranate spread and topped with orange vanilla buttercream frosting. Cupcakes are my favorite dessert to bake. In fact, I love baking them more than I love eating them. Don’t get me wrong, I love eating fresh homemade cupcakes. I also really love baking them, pipping them with a whipped buttercream frosting and then garnishing them with something like beautiful pomegranate arils. Orange Pomegranate Cupcakes combine two of my favorite seasonal flavors into one delectable cupcake. Best of all, I use fresh oranges and pomegranates picked off the fruit trees in my backyard. Each year, we have hundreds of fresh oranges. 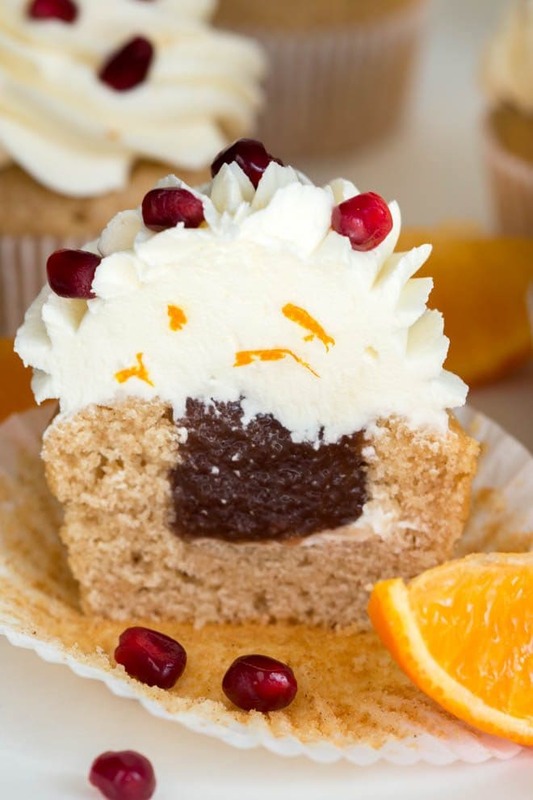 Orange zest from freshly grown oranges adds the best flavor to these cupcakes. I also stuffed them with pomegranate jam or spread to elevate the pomegranate flavor. If you can’t find pomegranate arils, you can just use the pomegranate filling without sacrificing any flavor. 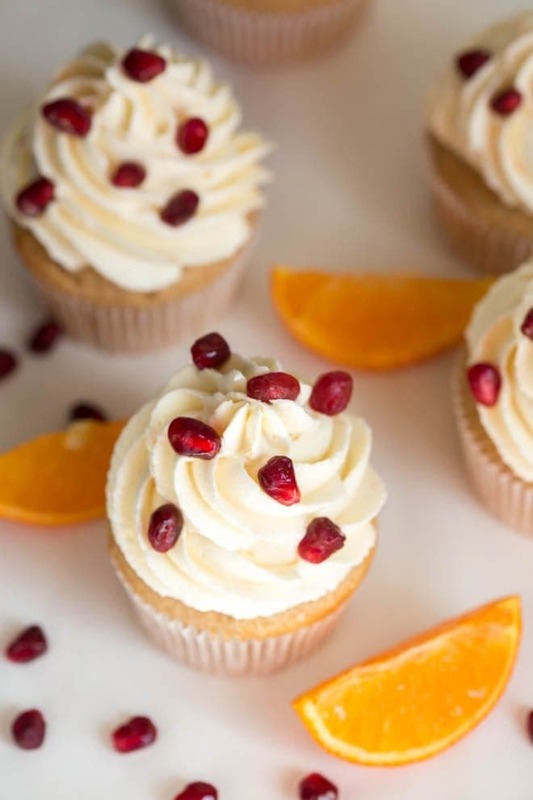 If fresh pomegranates are in season, the pomegranate arils add a beautiful touch and refreshing crunch to the cupcakes. The cupcakes are an impressive treat that you won’t be able to resist. 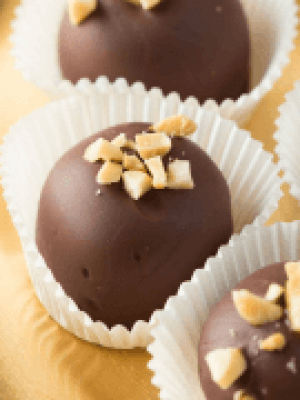 Bake a batch to share with friends! I use a large closed star tip for piping the frosting. Preheat oven to 350° F. Line standard muffin tins with paper liners and set aside. Sift together flours, baking powder, salt and cinnamon. 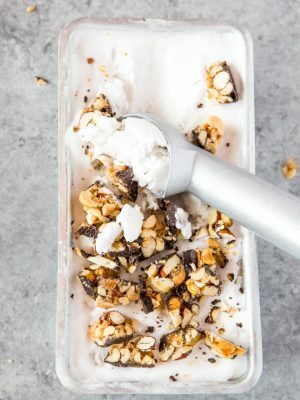 In the bowl of an electric mixer fitted with the paddle attachment, cream the butter and sugar together on medium-high speed until pale and fluffy. Add eggs, one at a time, beating until each is incorporated, scraping down sides of bowl as needed. Add vanilla and mix. Reduce speed to low. Add flour mixture in three batches, alternating with two additions of milk, and beating until combined after each. Divide the batter evenly between the prepared liners, filling each about ¾-full. Bake until a toothpick inserted in the center comes out clean, about 20 minutes, rotating the pans halfway through baking. Let cool in the pan about 5 to 10 minutes, then transfer to a wire rack to cool completely. To make the frosting, in the bowl of an electric mixer fitted with the paddle attachment, beat the butter on medium speed for about 5 minutes. Turn the mixer down to low speed and gradually add in the confectioners’ sugar until incorporated. Add in the vanilla and salt and mix until incorporated. Turn the mixer back up to medium-high speed and beat for an additional 4 minutes, or until light and fluffy. Fold in the orange zest. 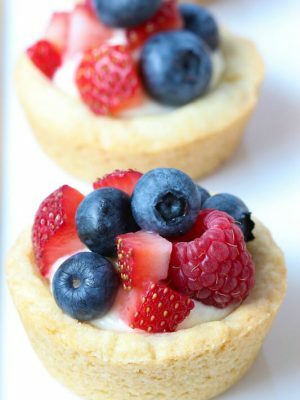 Use a knife to cut out a small portion of the center of the cupcake. Fill the holes of the cupcakes with about 1 teaspoon of the pomegranate spread. Pipe the frosting onto the top of each cupcake. Garnish with pomegranate arils and enjoy! We use the pomegranate fruit spread from Rigoni di Asiago.